I absolutely love this interview. 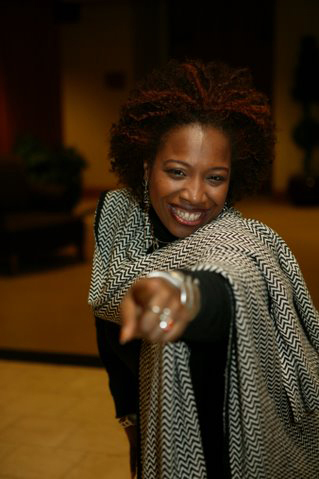 I love the voice Lisa Nichols has and shares here: so beautiful. I interviewed Lisa by phone in August 2004 just two hours after she first received a copy of Chicken Soup for the African American Soul — her first published book; I later got to meet and spend a little time with her in Chicago. For the interview, Lisa was excited with book in hand, of course, and also emotional, tearful, and reflective. The combination, it turned out, lent itself to having an insightful, impassioned conversation about the spiritual experience, the African American spiritual experience, and her African American spiritual experience, as we talked about the importance of faith, family, and storytelling in the black community. Chicken Soup for the African American Soul, a collection of spiritual stories written by African Americans, quickly became the top-selling Chicken Soup series title at the time, reached No. 2 on the Essence bestseller list, and received a National Black Book Award. Her second book, Chicken Soup for the African American Woman’s Soul, was released in 2006, which is when The Secret was released. Lisa’s appearance in that film spoke to the power of positive thinking and manifestation, and since then she has become an inspirational coach and trainer and a pulsating, poetic motivational speaker, encouraging girls and women to celebrate their greatness and transform their lives. She has authored an additional pair of books: No Matter What! 9 Steps to Living the Life You Love and Unbreakable Spirit: Rising Above the Impossible. You can learn much more about Lisa on her website. Still, with all the reach and value of what came later, I find Lisa’s voice here especially fresh, vibrant, compelling, and moving. As I said: I love this interview. Lisa Nichols: You have chosen the best possible time to do an interview. Do you know why? 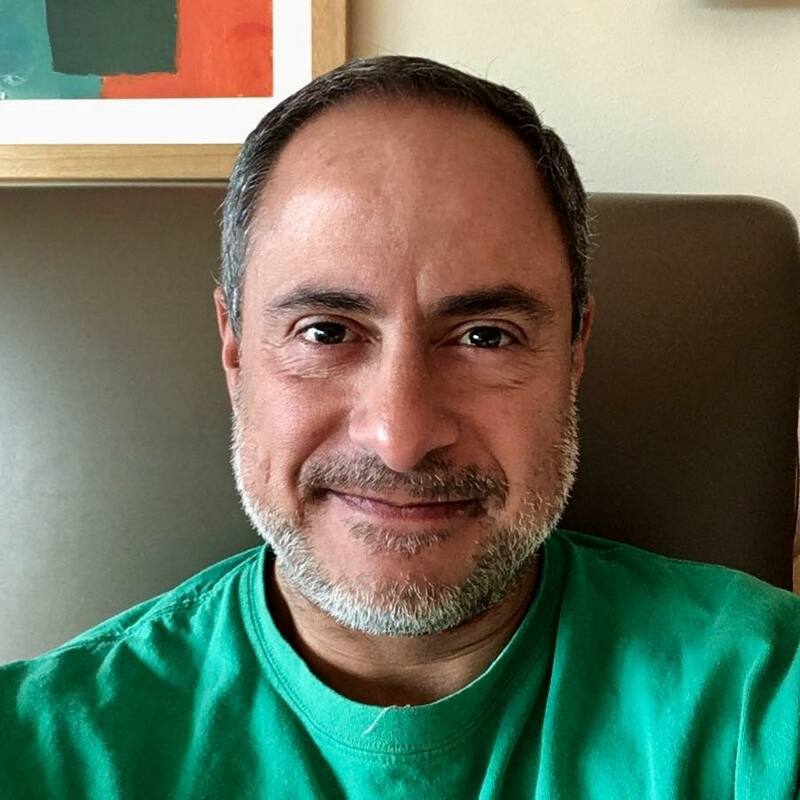 Ray Hemachandra: Tell me, Lisa. Why? Lisa: I received my book just this morning. So, for the past two hours I have been in a very surreal place, thanking the universe and the ancestors for bringing this through. You are the first public person I am speaking to after seeing the book bound. Ray: I am honored. Thank you. Lisa, your book is titled Chicken Soup for the African American Soul. What is it about the African American soul that is unique? Lisa: The African American soul and spirit are unique in that we are a village. We are threads woven into a colorful tapestry. Although I have never met my ancestors from Ghana or Nigeria, I very much feel their energy. Our souls are woven together. We are a colorful tapestry in many different ways, and spirituality simply is one. African Americans share a common ground that we never even have to mention. Just by the sake of our culture, we get what our journey must have been. We know that we dance. We dance the dance of resiliency and the dance of celebration. We dance the dance of frustration and the dance of anger, the dance of sadness and the dance of joy. That common ground is not in what we say, but it is in who we be as individuals, in who we be collectively. I know that’s not the grammar one would use. But I have to say it in this way, because as an African American my essence speaks louder than my words. Ray: That essence informs the spirituality, doesn’t it, Lisa? Lisa: That essence informs African American spirituality in the way in which we are rooted in possibility. Ray, people like you and me come from a space where everything that was our birthright was taken away from us. We have begun to express a freedom in how we choose to be with God. Whether we call our god Allah or God or Jehovah, we have gotten to a place where we have given ourselves spiritual freedom like we experience physical freedom. As African Americans, we come largely from a base of old Baptist teaching, whether we know it in our generation or in someone else’s generation. We now really are freeing ourselves up to worship and to be with God the way each one of us chooses as an individual to be with God. We are trying on the spirituality that fits best for us as individuals. I think that kind of spirituality is wonderful and very diverse. You can have a stadium filled with 10,000 African Americans, and inside that group you have hundreds of different choices of worship, forms of spirituality, ways we honor our God, and names we call our God. We choose to acknowledge and honor our differences, because we understand that God lives in each one of us. We embrace how we have been with God as a culture, even while now choosing to live with God as individuals. But we still are unified in African American spirituality. Ray: Would you expand on the idea of being rooted in possibility? Lisa: Again, our birthright was taken. It was only in our spirituality that we could see and know possibility. My ancestors, my grandmother, and my great-great-grandmother lived, walked, talked, ate, and drank by faith. Faith is spirituality. Faith is believing in what you don’t see. So, my grandmother has never seen someone in her family be an author of a book, but my grandmother was the first person to tell me I was a great writer. Now, I did not believe her, because I thought she was just saying it because she was grandma — granny, as I called her — but my grandmother asked me to write down every speech and give it to her, because she was my first fan. That’s what she said to me. Though she is not here today to see this book in my hand, her spirituality and her faith are part of what manifested it. You got all my sobbing tears on tape now, huh? Ray: They seem appropriate, Lisa. Tell me about your life. Lisa: I was born and raised in South Central Los Angeles. I was born in a house with an income that many people would call low income, but I did not know that because I did not feel lack in my home. I was in one of the first classes of students to be bussed to the Valley. One of the things that did was make me very self-conscious about how I looked very early on. As an African American little girl, I did not see my beauty anymore. So, I struggled from fifth grade forward with my self-esteem, even though I had very loving parents. I ultimately went back to the city schools. I had to fight three days a week to come back from middle school. I lived between two gangs. My father put me in sports as a way to keep me out of trouble. In high school, I was not a fast learner. I probably had some special needs, because I needed to hear things more than once, more than twice. I was not a super-achieving student, and I was not a phenomenal writer. I am going to tell you the truth, Ray: I had personality, if anything. But in my high-school years I found myself really struggling to love the skin God had placed me in, to love the body God had placed me in, and to love the experience called my life. Although I was bubbly on the outside, on the inside I still was trying to find joy. I went to an almost-all-white university, with only four African American girls and 18 African American guys. My English teacher told me in my freshman year that I was the weakest writer she had met in her entire life. My speech teacher told me that same year that the D he was giving me was not because I had passed. The D he gave me was because I had damn near failed, and he recommended I never speak in public and that I get a desk job. Ray: But now you have your first published book in your hand, and I hope you know that you are an exceptionally charismatic and moving speaker. Lisa: Thank you very much. But people give us their opinions of us, and we wear them as if they are our own reality about ourselves. I began to wear both of my professors’ opinions of me as if they were my reality about myself. I did not consider myself someone able to speak well for a long time, and I definitely did not consider myself a writer. As a result, I ran away from writing. I began to do things in the community as an activist in Los Angeles. I worked for more than 12 years as a community activist doing local things but never feeling I had what it takes to speak to all America — meaning white America, as well as African Americans. For years I wanted to speak, but I would talk myself out of it. I talked myself out of it because of what my teacher said. I talked myself out of it because no national speaker I had ever seen looked like me. And I talked myself out of it because I was a woman challenged with dealing with my weight, as many women are, and that was a big conversation for me. Ray: How did you begin? Lisa: I started my speaking career eight years ago. I was training people to use software systems at alcohol and drug-recovery institutions. Before I would train them on the software systems, I would speak to them to inspire them to make change. I found I liked the motivational part of it best. So, I started my speaking career in alcohol-recovery and drug-recovery institutions and in women-rehab institutions. No one was beating down the door to get into those places, and I figured if I messed up, they couldn’t really tell. Since then, I have spoken to more than 200,000 people. I also started a company called Motivating the Teen Spirit. I now have raised more than a half-million dollars for my company. I have worked with more than 35,000 teens, and my company has helped prevent more than 850 teen suicides. I had to learn how to be a CEO, and I received training. I never once tried to trick myself into thinking I knew more than I knew. I was always learning from someone, and I was always teaching someone, so I could keep a good circle of energy around me. Ray: How did Chicken Soup for the African American Soul come about? Lisa: That shocks a lot of people. She said, “Why?” and I said, “Because I’m a speaker, not a writer.” I still had on that uncomfortable jacket my English teacher in college had given to me. My colleague called me again and again, and every time she called, I declined. I sat down and began to write my own stories. Chicken Soup needed to see two things: one, how I wrote my own stories, and two, if I could collect a powerful Chicken Soup story. I began to write my stories that I had been saying on stage for a while. I began to put understandings and lessons together, inside the struggle, inside the fight, inside the battle, and share the triumph at the end. I collected five stories, and I wrote five stories. I did a lot of crying, a lot of releasing, and a lot of soul searching in the stories I wrote. Then, I was so afraid, because I stood the chance of being rejected again in my writing. I was in a pure sweat preparing myself for the rejection again, for the disappointment. You know about that, right? So that was my Cinderella moment. I wanted to include this beautiful artwork and design for the original magazine story from my graphic designer Jessica Snow, an exceptional artist and designer (and now an occupational therapist in Seattle), as well as a dear friend, who took our magazine’s visual design to truly wonderful places. Ray: What a wonderful affirmation for you, Lisa. How did you go about partnering with the other writers to reshape their stories? Then, my editor, Eve Hogan, a phenomenal writer, sat right beside me and showed me what was magic in my writing. Once she showed me what was magic in my writing, I could show other people what was magic in their writing or what magic was missing from their writing. Ray: Lisa, you said you struggled to love the skin God placed you in. How common is that struggle among African Americans, even today? Lisa: I think it is very common when we are younger. People of other cultures may go through various things in their teen and young-adult years, but that is one of our particular struggles, among African American women especially. In the popular culture, you are bombarded with, “Blondes have more fun.” I won’t ever make a great-looking blonde, Ray. Small and thin is in. I know that at my best shape I won’t be small, because that is not who I am. I may be shapely, but it won’t be in a size-2 frame. That is not how I am made up. We begin to believe dark skin isn’t beautiful. We begin to believe full lips aren’t beautiful — at least not until recently, when people actually began paying to get their lips made full. But back when I was 16, it was not cute at all. Nothing that looked like me was represented as beautiful. I work with teens, so I know black youth still goes through that. Then, as women and as men, we begin to mature. We begin to fight out of that thought and break out of that box. But I definitely believe it is a passageway all we African Americans come through. Ray: What are the core lessons of empowerment you talk about in your work with teens? Lisa: I really speak from my personal journey, because I know that one best. One of the things I tell them is no one could love or fall in love with me, with Lisa, until I fell in love with myself. Then I say, “We in the world are waiting to love you the way you deserve to be loved, the way you were born to be loved. We want to love you, honor you, and respect you. “But you are the first example of how we are to treat you. If you treat yourself like nothing, if you do not love yourself, if you abuse yourself with drugs, alcohol, or abusive relationships, then you give us in the world permission to do the same. 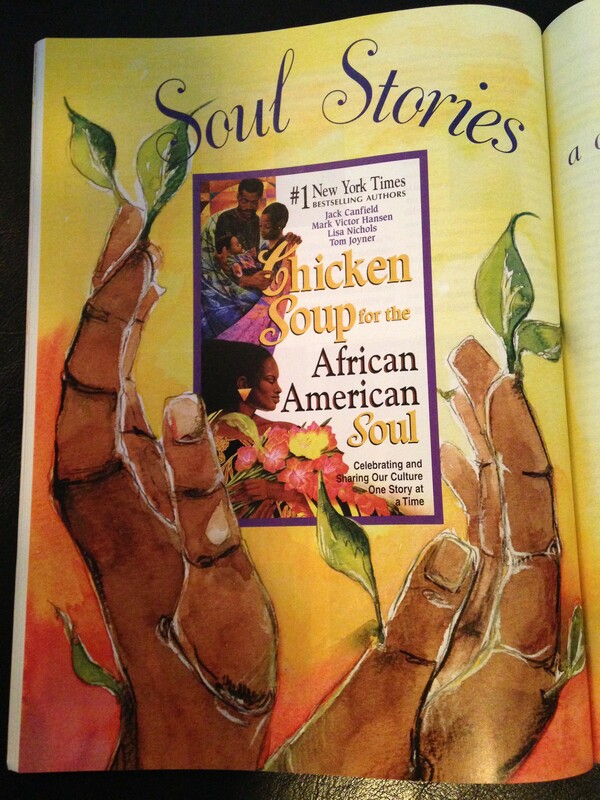 Ray: How are African American stories, like the stories in Chicken Soup for the African American Soul, unique? Lisa: Within each African American story sits an individual fighting to love themselves in the package that God gave them, fighting to love themselves in a time and space where other people around them may not be loving them. You can change your geographical location, the car you drive, or your choice of occupation, but God knows you can’t change the color of your skin. I can’t change the fact that I am mocha brown. I can’t change the fact that I have full lips and round hips. I can’t change the fact that I have short curly hair. I can’t change the fact that God gave me a full body to work with. He didn’t give me a size 2, 5, or even 6 frame. He gave me what he gave me, and I can’t change that. So, African American stories differ because they show the challenge and the struggle of ourselves and our families fighting to love the African American body, the image, the culture, and all the history that came with the culture. For me, that means knowing that my ancestors came from the space of slavery, and knowing that I did not see any positive images like me on television until 1984. That also means knowing that, in spite of these things, I have learned to love myself so much. Ray: That positive image you saw in the mid 1980s — was that Oprah? Lisa: Yes, that was when Oprah got her show. I was a freshman in college, and there were four African American girls attending the school. I knew at that time I wanted to speak to people and inspire them, but what I lacked was a physical manifestation of what I wanted to do and be. And yet, I believed in my heart and soul that I had the right to inspire people. I didn’t see anyone that looked like me doing it until I saw Oprah. Ray: Is the essence of African American spirituality born of the stories, the struggles, and the triumphs of ancestors? Lisa: Yes, Ray. The essence of African American spirituality is a deep-rooted, blind faith. It is an essence that could only come from years and years of resiliency. See, I don’t just have the resiliency of me, Lisa. I have the resiliency of my mother. I have the resiliency of my grandmother and my grandmother’s grandmother. They have found an amazing way to pass on that resiliency, not in what they say, and not in what they do, but in who they be. So, who I get to be, in my essence, in my spirituality, is all of them. I have never been whipped. I have never been treated the way my great-great-grandmother was treated. But the essence of me knows that she survived it. That is how I am here, and I walk knowing that. So, in my spirituality, I understand that who I am inside of me, who God has created me to be, is bigger than I will ever know. I will do things I can’t even imagine, because of the grace that has been given to me, the life that has been blessed to me, and the lives that have come before me. I know I couldn’t have gotten here without struggle and triumph. I couldn’t have gotten here without dancing and fighting. I couldn’t have gotten here without walking and running. I couldn’t have gotten here without all the things that have come before me, and they are all deposited in me. I get to be in that space spiritually, emotionally, physically, and financially, on my behalf and on behalf of everyone who has come before me. Ray: What can non-African Americans learn from the close-knit tapestry underlying African American spirituality and culture? Lisa: I really appreciate that question. I have a large number of friends who are not African American, so I am going to echo some things I have heard directly from them. Family are our gas, our fuel, the helium in our balloon. We African Americans make people who are not blood family. I have more cousins who are not really of my bloodline than I have cousins who are. Family represents unwavering belief in me. Family represents unconditional love and support in me. So, I think one of the things that the essence of African Americans can teach to our brothers and sisters of other cultures is depth of family and multigenerational love and support. Our spiritual essence and sense of spiritual family run deep. Second, when there’s nothing else, nothing else at all, African Americans pray. We learned how to pray early, early on as African Americans. We learned how to pray for anybody. We learned how to put people on the prayer line. We learned how to be accessory-prayer warriors. We learned how to get prayer groups going. We learned how to surrender to God. Because there was a point where all we could do was give it to God. I speak on behalf of my ancestors, when nothing looked like it was going to work for them. So, I can say that the essence of African American spirituality — and the essence of being African American — is unwavering faith in the unseen. It is not to need a tangible in front of you, but to have the knowing inside of you. Finally, one of the things I would love our brothers and sisters of other cultures to get an understanding of is how we have learned over the years to love the inside of us, because nothing beautiful looked like us in the culture or on television. So, we had to begin to validate each other and to validate ourselves, regardless of what Miss America looked like and the fact that we hadn’t seen ourselves in our country’s leadership. For many, many years we had to believe inside ourselves that we were beautiful and worthy, or we would not have felt that way at all. I really would love for our brothers and sisters of other cultures to grab hold of that, so they can lose the feeling of having to make so many physical adjustments or monetary gains to achieve success or wealth. Wealth is simply abundance, and abundance does not have to look like monetary things. Ray: In addition to the stories of so-called ordinary people, your book includes the stories of prominent African Americans — Maya Angelou, Les Brown, Yolanda King, and Colin Powell, for example. Why? I chose stories from prominent African Americans, so they would have a place to tell pieces of their stories. They could teach readers that one day they, too, had doubt. One day they, too, had worry. One day they, too, had tears. We get to be taught by them, by their inspiration, and then we get to teach someone else. Ray: Do you have storytellers in your family? Lisa: They probably wouldn’t call themselves storytellers. None of them has ever been paid a dime for their stories. But, oh my God, have they fascinated me with their stories for years. My father is a phenomenal storyteller. My father brings a story to life and puts you right there. I feel his emotion. I feel his excitement, his anger, his joy. My aunts are amazing storytellers. My grandmother was an amazing storyteller. They all tell the same stories, and they all have their own versions. It’s very exciting to see the skew based on who is telling the story. My father traditionally has been the person who has the devilish agenda. My family uses stories to entertain one another. I have 64 family members who live in Los Angeles, and with three phone calls we can put about 42 of them in one house very easily. I have an extended family of many, many people. We were all raised very close. I had 13 first cousins within a five-mile radius of me, and we were raised as best friends. We spent much time together, sharing family stories and listening to our parents, who are sisters and brothers, sharing their stories of growing up. I have a brother a year and a half older than me, and he adds a lot of flavor and seasoning to my life. I have a little sister 18 years younger than me, and she’s the light of my life. We all are third generation with this level of closeness. The family moved to the West Coast from St. Louis when my father was about 7 years old. That was 53 years ago. My father raised me saying, “Now you know, baby, I’m from St. Louis, Missouri, and that’s the Show-Me State. So, don’t make me promises. Show me what you’re going to do.” I live by that, because my daddy came from the Show-Me State. Ray: Lisa, you have a son, correct? Ray: How does your work with young people, and your awareness of the power of role models and intergenerational faith, memory, and being, inform the way you share values with Jelani? Lisa: You ask me to reflect on this at a very critical time. I teach my son very consciously, understanding that my words will not land on his ears. They simply will pass through his ears and land on his heart. I constantly am working to build him up, understanding that he is an African American male in this society. I constantly remind him that the person he chooses to be is 100 percent his choice. He is not doomed to any result other than the result he chooses. As an African American male, he is going to see things that seem to be routes he should take because of his culture. I always want him to know that he is born with choice. So many African Americans, young and now old, truly believe in their heart of hearts they never had a choice to be anything greater than who they have been and who they are. That type of limiting belief system can occur with anyone in any culture. I teach my son that he doesn’t have walls. I want him to always play at the edge of his box, expand his box, and break down the edges of his box — to live outside the universe of limitations and impossibility. My son went to a school that is predominantly white, and he had a very difficult time socially. Though he was a high academic achiever, he did not know how to reach out, and his differences in many cases were not celebrated. He was around kids who were not used to being around African Americans, and they acted as such kids often do. As a result, I have chosen to move my son to another school that has more African Americans who are upwardly mobile, so he can celebrate who he is, celebrate his differences, and better understand his possibility. Ray: How important is diversity to you as a parent? Lisa: I do not want my son to be in a school that is all African American, because that is unrealistic. We would go from one extreme of fear to possibly an extreme of comfort. But I want my son to see and have permission to play in America, to play internationally. I think it is my responsibility to allow him to develop who he is and become comfortable with who he is inside of a space that looks like America. With diversity, we don’t stay inside our comfort zone. We grow, we expand, and we learn to respect people more. I do not have to agree with the way you do things, but I must respect it. My first year in a bussed school, I remember I never knew what to say. I had never been around white people before. I did not know how to speak to them, and I did not want to prove to them I was ignorant. I had very low esteem about myself. I had not been privy to having white people in my space previously, so I had not learned from them. So, diversity in my son’s experiences and education is extremely important. I want my son to know that he is equal, that his classmates are equal, and that he has a birthright to play wherever he chooses to play. Ray: We all can learn from one another, can’t we? Lisa: Absolutely, Ray. A lot of people learn from each of us. I realize that many of my friends who are not African American wouldn’t know about African Americans if I didn’t come into their space. Because of my being in their space, they appreciate African Americans more and regard us more highly. And my son and I get to do the same with them. In the same way, as an author, my book’s subtitle is “celebrating and sharing our culture one story at a time.” The two words “and sharing” are so important to me, because I want to make sure we are inviting our brothers and sisters of other cultures to peek inside our world — to be with us in our space and to get to know us. Ray: Publishers of African American books generally market to African American audiences. The books appear in the black-studies or African American sections of general bookstores, and the authors are sent to African American bookstores in cities to make author appearances. How are you planning to market this book and your work? Who is your intended audience — African Americans or everyone? Lisa: One of the reasons publishers market to the African American community is because of the loyalty blacks have shown. African American book buyers buy books by black authors. They actively look for African American authors. Publishers and black authors market where they think they will get the easiest wave: Swim with the stream, not upstream. I will market this book in the African American community, because it is the target market and then do a lot of crossover marketing and market in the mainstream. When I selected readers to review the book, I had 40 African American readers, but then went beyond that and got six white readers, because I wanted to make sure the book was appropriate for them. The book’s subtitle is “celebrating and sharing our culture one story at a time.” The two words “and sharing” are so important to me, because I want to make sure we are inviting our brothers and sisters of other cultures to peek inside our world — to be with us in our space and get to know us. I am excited about the education this book will provide them.